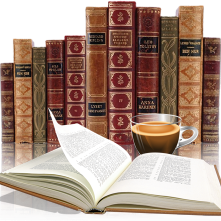 I never used to read that much about World War II, especially after reading books like The Book Thief, Between Shades of Grey and The Invisible Bridge. Plus knowing the atrocities committed by the Nazi I just needed to stay away for a bit. What I am finding these days is a wide array of books showing the war from the other side. Those courageous enough to fight back in any way they can. 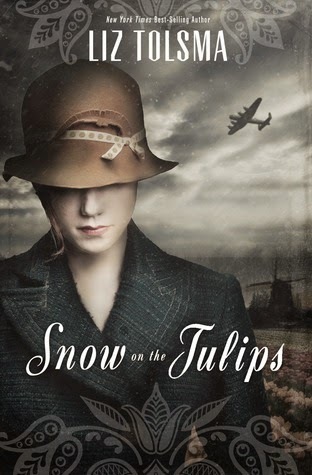 Snow on the Tulips is a look at the Netherlands during the final days of this conflict. Some sat and waited for the war to end, surviving on ration cards, minding their own business. For others there is the underground, the Resistance. Some get involved on purpose and for others its thrown in their face. It's almost the end of the war, but Cornelia and Gerrit do not know this. This book shows a vivid portrait of life in the Netherlands, the emotions when a loved one is no longer there. Hiding those you love from the Germans and knowing who you can trust and who you can't. This is the authors debut and I think that she is off to a good start. There were times I felt it dragged a little, but the author shows that she knows her subject matter and wrote an interesting and believable story. It's Christian fiction which I think added the story, it's wartime and sometimes all you have left is your faith. Another reason I was drawn to this book is simply the fact that my parents lived in the Netherlands during this war as a young married couple. My dad was a German POW for 2 years as well. My parents never talked about the war and this book was a glimpse for me of what life might have been like for them. P.S. - it's the cover gorgeous?! I've read a lot of WWII fiction, but I don't think I've read any set in the Netherlands. I'd like to read this one. And yes...I love the cover!